Chandigarh ( June 10, 2014): Derailing his party from the demand of Chandigarh to hand over to Punjab as its capital, Punjab deputy chief minister and president Shiromani Akali Dal Badal (SAD-B) Sukhbir Singh Badal has cleared deck for New Chandigarh near Asli Chandigarh. He on Tuesday gave in principle approval to a presentation given by multinational architecture and engineering firm Aecom who have been taken on by the Punjab government to plan the entire city, including its lay out, landscaping and development. It was the SAD-B, which had been demanding handing over of Chandigarh to Punjab. But with the creation of New Chandigarh, the state has loosened pressure of demand. Sukhbir Badal approved the creation of green development in the form of a necklace which will encircle the commercial district as well much of the residential areas. He also approved creation of a water front development alongside the commercial district besides creation of a 50 hectare lake. The Deputy CM also gave approval for creating grids on the same pattern as Chandigarh to ensure efficient planning of the residential areas. He however approved high rises in both the city centre as well as group housing areas with the only restriction being that they should be in the North – South grid so that the view of the Shivalik mountains is not disturbed. It was also decided that group housing would be located along the sector park with towers facing the central greens which would be a feature in all parks. New Chandigarh will have a unique land use mix with 386 acres being earmarked for Edu City, 413 acres for Medi City, 75 acres for City Center and 79 acres for Commercial Center. The Tribune in its series of stories had exposed that the SAD, congress leaders and IAS officers have land near the proposed Chandigarh. In April 2012, the Punjab Government had itself admitted before the Punjab and Haryana High Court that 60 high-ranking officers were having land in Chandigarh’s periphery. According to the reports published by The Tribune, then Punjab Election Commissioner Shivinder Singh Brar has 31 kanal and 17 marlas; state DGP Sumedh Singh Saini has 32 kanal and Sonam Kumar, son of Punjab ex-Governor BKN Chhiber, has 23 kanal and 19 marlas. According to various news reports published by the Tribune, Mirzapur, a small hamlet located to the north of Chandigarh adjacent to Mullanpur Garibdas, is also an abode of VIPs. Buyers of land there include a Congress former minister, MLA and MP late Lachhman Singh Kalka and his sons Bhagat Singh and Gajinder Singh. They purchased 157 acres and 6 kanals. Minister Kalka is no more. The other VIPs with land in Chandigarh’s periphery are retired IAS officer VK Khanna (21 acres); retired Chief Engineer Kamaljit Singh (6 acres); retired IPS officer Dharam Singh Mohi and his son (6 acres); retired IAS officer Ajit Singh Chatha (9 acres); and Abhey Singh Jagat, son of retired DGP Gurbachan Jagat, and his family (2.5 acre). 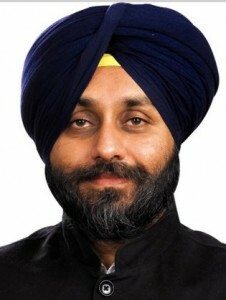 The list also mentions Sukhbir Singh Badal. 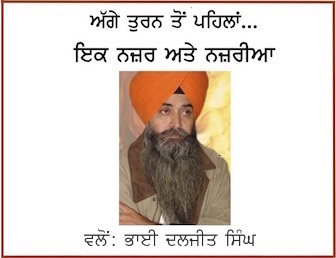 He is shown to own 30 kanal and 8 marlas of agricultural land in Lohgarh village in Dera Bassi tehsil. Besides him, the Kairon family owns 106 bigha and 7 biswa (22 acres, 1 kanal and 5 marlas) in the revenue estate of Chatt village. Also, Manjit Kaur, wife of Barnala MLA Kewal Singh Dhillon is the owner of 39 bighas in Kishanpura village.